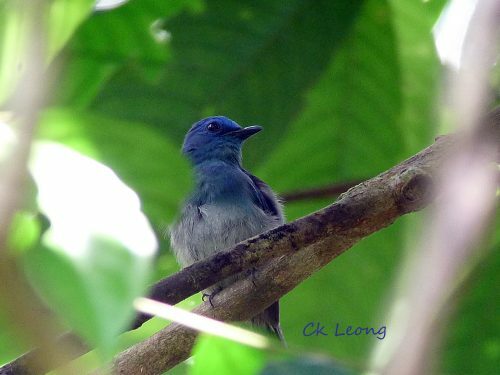 The Pale Blue Flycatcher Cyornis unicolor usually stays in the canopy of lowland forest making it one of the harder flycatchers to see. On a particularly hot afternoon this male came down to take a shower in a small stream, allowing me to take this photo. It is sometimes confused with the Verditer Flycatcher which has dull blue on its underside as compared to the grey on the underbelly of the Pale Blue.